We try to predict the future every day. You think about what the weather might be like. You think about what might happen with your favorite sports team. You think about what the future might hold for you. 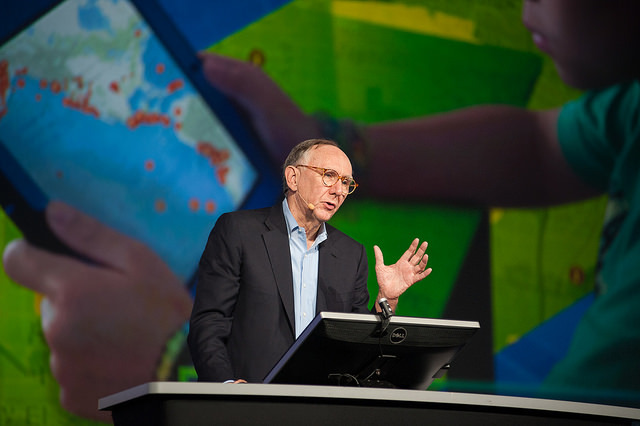 2014 Esri User Conference Plenary: GIS–Creating Our Future. We live in these ordinary and extraordinary worlds at the same time. A good example of this is the life of an architect. An architect imagines, plans, and designs, and then creates. But you and I also do this every day in our own daily lives. We imagine buying a house, or we imagine a new career…we imagine all sorts of things. And when we act on our imagination, we create something: we create a new future. We are also living in a world facing serious challenges, such as population growth, urbanization, pollution, natural resource depletion, and climate change. These challenges not only impact us as individuals, but affect everything. This in turn is also affecting our social world in terms of social controversies, conflicts, and migrations. From severe climate events, to drought, to food production challenges, the world we live in is a complex, interconnected web. We live in an unprecedented time where the work that you do with geography is more important than ever. GIS is Integrating geography into everything we do, changing the way we think and act. Geography as a science provides us the context and the content of our world. It provides a framework for understanding our world by bringing all our measurements together, analyzing and visualizing them, and ultimately results in a new understanding. And GIS is the medium that helps us to understand. GIS itself continues to evolve, and as a result your individual systems are now becoming part of a larger interconnected platform. Your servers are connecting, your desktops are connecting, and your apps are being fed by shared community content. This web GIS is a new pattern that’s coevolving with faster machines, web services, open environments, open policies, and networks. 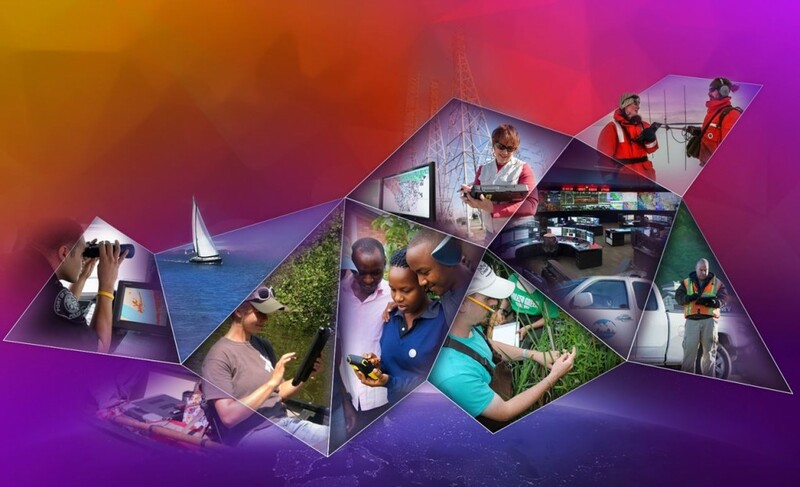 Web GIS is bringing together all of our data, technologies, and people. It lets you share your own focused work in the form of web maps and web services, throughout your organizations as well as on the web to the world. This creates a framework where we can collaboratively work to address the complex challenges facing our world. 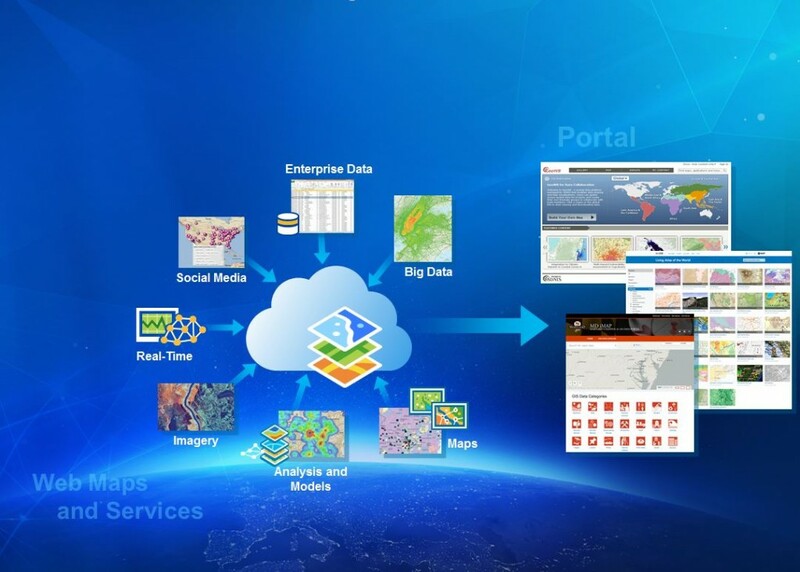 Web GIS integrates all types of information, organizing and sharing your work both internally and on the open web. Web GIS is also leveraging advancing technologies—the world of measurement, the world of computing, and the world of networks, and layering on top of that infrastructure. This “nervous system of the planet” brings our world’s information to life. Fundamental to this idea of creating the future is the concept of geodesign. Geodesign takes geographic information and links it to the design, decision-making, and planning process using collaboration. It does this by building the power of GIS into the process, allowing alternative plans to visualized, compared, and evaluated. The end result is better, more informed decisions. For the GIS professional, geodesign extends your work from the science side into the creative side—from the ordinary world to the extraordinary world. I would like everyone to think about becoming geodesigners. It’s the right time for us all to move in this direction, because the technology is here now and it can play an important role in helping us to solve the world’s problems. The mission of creating a better future depends heavily on GIS professionals. It is you who can envision what’s possible, understand and embrace and fully leverage these new web GIS and geodesign tools, show leadership, and do the difficult work we have ahead of us. Creating a better future requires GIS professionals. Seeing the work you do, and knowing what I know about the technology and where it’s going, this isn’t just a possibility. I think it’s actually inevitable. 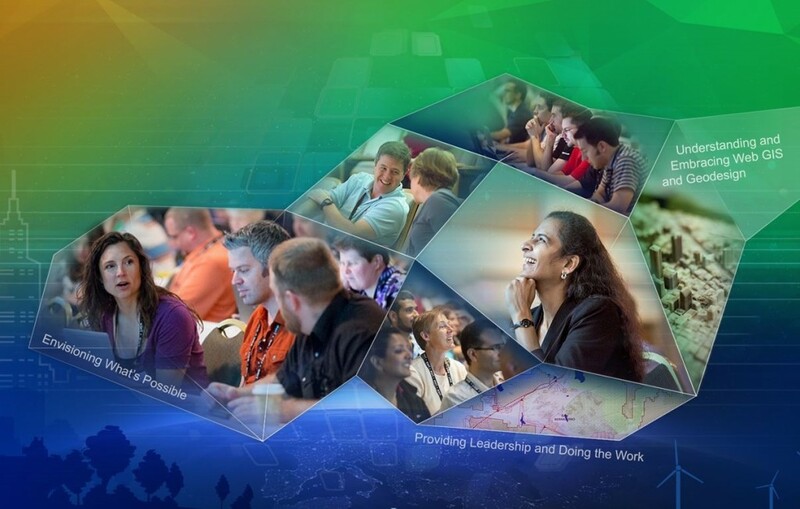 As GIS professionals, you are already imagining the future, and working hard to create it. You are the future.